Where do you find the heat in a cooling market? The market is slowing down, there's no doubt about it. Value growth for owner-occupied or investment property in Sydney sat at 15.56 per cent over the year to October 31 (according to CoreLogic RP Data), which is less than we've seen over the preceding months. However, it seems like a lot of house hunters are letting headlines dictate their behaviour. Talk of a cooling market and a dramatic fall from a peak is rife, which is exemplified in a separate piece of CoreLogic research from November 5. The CoreLogic / TEG Rewards Housing Sentiment Survey indicated that 68 per cent of respondents think the Australian property market is open to "a significant correction in values". How many ways are there to find the heat in a cooler market? While value growth will come down, it isn't a thing that needs to cause buyers to freeze in their tracks. Here's why. There are two points to this. Firstly, we're on our way down from unsustainable levels of housing growth. While I don't believe in recent bubble talk for a second, ongoing value growth of almost 20 per cent was never going to be sustainable in the long term. "I don't believe in recent bubble talk for a second"
According to the QBE Housing Outlook for 2015-2018, Sydney house prices are going to go up by 7.3 per cent in 2016, followed by two drops of less than 3 per cent each in 2017 and 2018. This is the natural decline that comes with a property cycle, and each peak and valley tends to be higher than the previous one. According to a NSW government report on affordability from 2014, this has been the case for real house prices since the early 90s. So housing growth is slowing down from unsustainable levels to something more stable, and even when prices drop, they're going to come back stronger than ever. That's why a cooling market shouldn't strike fear into the heart of any Australian property buyer. Another aspect of the property market coming down from its peak is that house hunters tend to avoid buying at this time as values aren't in their strongest period of growth. However, keep the aforementioned point in mind about peaks always going higher. You don't necessarily have to buy Australian property when the market tells you to - you can buy when you're ready, and in the long-term will most likely see solid capital gains. 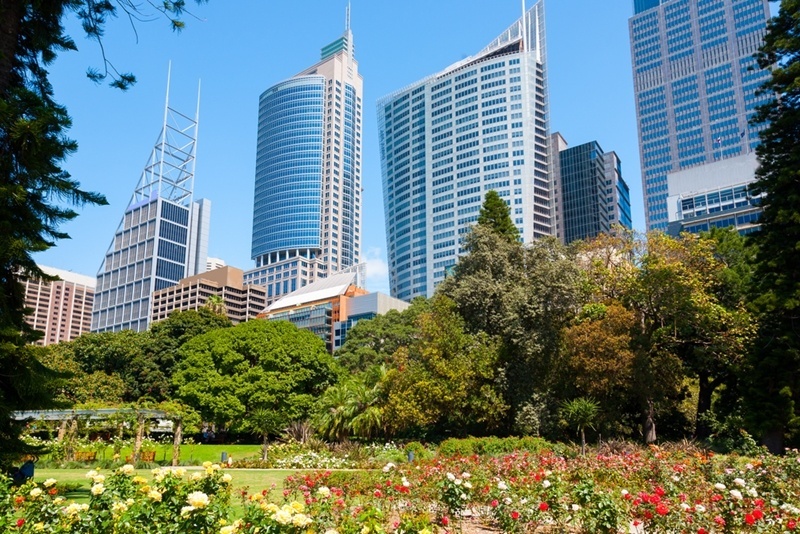 "Even as the Sydney landscape slows, there are pockets of growth all over"
And even with a slowdown, indicators show that people are still benefiting from healthy conditions in the market - there's still a lot of positivity left. For example, a recent JLL report on Sydney's apartment market has shown that as many as 61,000 new apartments and units are on the way between now and 2017. This is subject to some projects receiving approval, but is still a good start. As supply in this part of the market meets demand, it could sustain growth for a little longer. This isn't necessarily in the centre of the city either - JLL cites Blacktown, Hornsby, Auburn and The Hills as spots that are taking up some of the apartment growth. Even as the Sydney landscape changes, there are pockets of growth all over. So you've taken on some perspective about the housing cycle, where it peaks and how certain areas will still have ongoing growth - what next? They key is making sure you're ready and that you have the right advice. Engaging a buyers' agent that understands the market can be your foot in the door on some growth hot spots, as well as advice on areas that could be great in the next cycle.